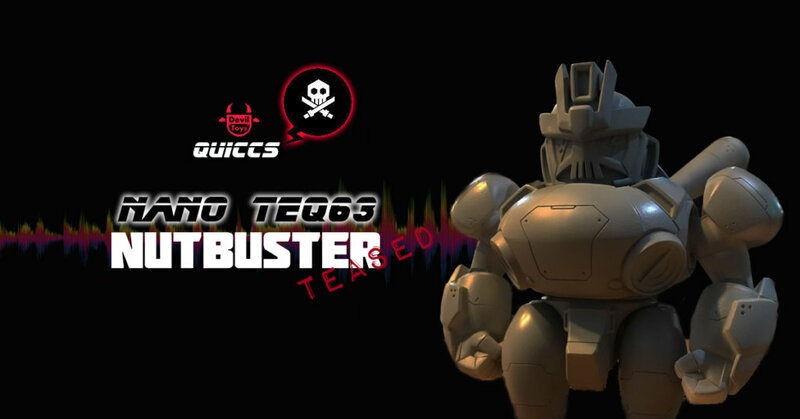 Back in October 2018, Quiccs fans hearts went into overdrive when day 3 of Tapei Toy Festival, Quiccs x Devil Toys showcased the prototype of the NanoTEQ NUTBUSTER. Today Devil Toys uploaded a little update! from the photo below the paint testing stage has begun! Like we said previously, Quiccs/Devil Toys got the name right as Quiccs fans of new and old will be busting a nut (s) to get hold of this bad boy. Say goodnight to HULKBUSTER, hello NUTBUSTER, HA.